Back when your grandfather was a young man, he never really had to think about replacing the filters on his car. Back then there were generally only three filters to consider: an air filter, an oil filter, and a fuel filter. The oil filter got replaced when he had the oil changed. The air and fuel filter were changed as part of his annual tune up. So he never had to think about filter replacement; they were already taken care of as part of other, more familiar maintenance services. Then they added a crankcase filter... and a vapor canister filter... and finally a cabin filter. Lots and lots of filters. And most of them are no longer tied to any other maintenance service. Which leaves you wondering when it's time to replace those filters. The answer is easier than you might think: All you need to do is bring your car to your local Cottman center for all your maintenance needs. Their technicians are familiar with all the filters on your car, and they know how often to check them and when to replace them. 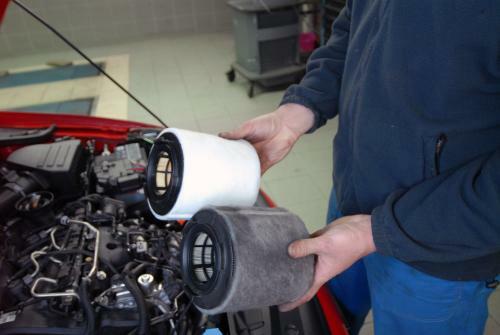 When you bring your car to your local Cottman center, you don't even have to ask them to check your car's filters: They'll check them as part of their regular maintenance service. And, if one or more of those filters needs replacement, they'll let you know, and give you a price for a high quality replacement. So stop worrying about how often to have your car's filters replaced: Just bring your car to your nearby Cottman center, and ask them to handle your regular maintenance. Your grandfather only wishes it had been that easy when he was a young guy!